Chris describes himself as a “developer by training and a project manager by the demands of the universe”. This definition applies to many freelancers who started out with a technical skill and have now expanded into the business side where they must sell and manage client projects as well as carry out the projects, or hire someone to do the technical work for them. With that expanded job title comes the challenge of constantly finding new clients to stay afloat and make an income. Or does it? Of course, you need to spend time finding new clients at some point, but once you have a base, you can resell to your existing clients with new ideas that can improve your clients's businesses. Chris made this discovery 3 years ago when he began work on a SAS product and didn't have as much time to spend on finding new clients. Why sell to existing clients? When Chris was fresh out of high school, he had a job at a jewelry store as a salesman. Although it wasn't exactly his calling, Chris did learn some valuable sales lessons. At one point, he complained to his supervisor that there were no new lines coming in to show customers. His supervisor responded with, out of all the customers you have already sold to and who are in your address book, have they all seen every single item in the store? Just because you have seen the item a thousand times, if the customer hasn't seen it yet, it is new to them. Let's say you have completed a project with a client developing a new web app for their internal affairs. Does your client know that you also build websites or have a UI/UX expert on your team? The client will simply find someone else who does websites without talking to you if they don't know that you can offer the same service. This exact instance has happened to Chris, and Matt, where the client went elsewhere for the work that they could easily have completed. Whose fault is that? Chris and Matt's. They let the client down by not having the conversation with the client about the other nine things that they offer clients. Why would the client want to stick with Chris? After completing the first project, the client has already invested in Chris. They have built trust together and shared the inner workings of their business. Given the choice between going to someone new versus going to someone they have already successfully completed a project with and can fully trust, of course they would choose the person they already worked with. What else can you do for the client? Chris was trained as a developer. When he worked in a company, he would get specs for a project from his boss, work on it, submit the project, and move on to the next one. He worked on his little widget of the bigger system. He had blinders on. When he started consulting, Chris realized that his projects were sub- or sub-sub-systems of a greater whole within the business. He stopped thinking like a developer with eyes only for the code running through his editor. He starting to see that when a client approached him with a project, the client actually had a problem in the bigger system. He stopped simply taking the specs the client had and started to examine the big picture and see where he could apply his talent to fix the problems, making the business more profitable or more efficient. Chris, as the consultant, has to figure out what the correct specifications are for the project because the client might not see the technical problems within their business the way he can as a third party expert. In this way, Chris acts like a business partner, not as a subordinate, and takes ownership of the problem and proposes practical solutions. But he doesn't stop there. 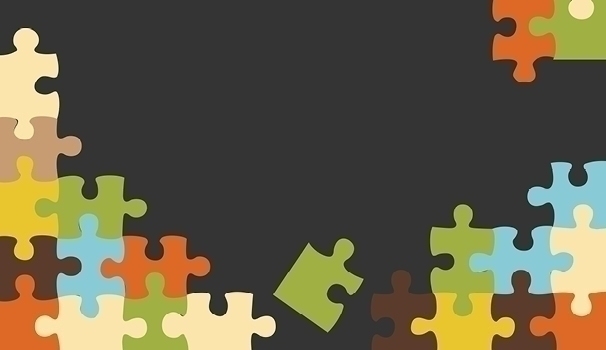 By knowing where the problem fits with in the entire ecosystem of the business, or knowing where his piece of the puzzle fits within the larger workings of the client's company, Chris could see where other projects could be beneficial for the client. These could be dependent on, complementary to, or supplementary to the current project which would add much more value to the overall business operations. How to actively figure out the big picture? A lot of the work takes place in the discovery sessions. After the client has contacted Chris with a problem, he sets up a meeting with the client and their team. Clients often think they need a “thing” like an app with a button and present Chris with specs to build that app. But often, the client doesn't necessarily need that thing. What the client needs is to reduce time between processes or make quality of life better around the office, or increase profitability. When a client tells you that they need something, assess whether the need is the real problem. Matt's rule of thumb is to ask himself if that need is what keeps the client up at night. The client probably isn't up at night because he needs a button, he is up at night because he needs to fix a problem or reach a specific business goal. Discovering what the client's true needs are can be difficult because there are a lot of assumptions, politics, and double speak where people's living and money are involved. Chris sometimes feels like he is a therapist in the middle of a couple fighting when team members disagree about how a process works or what the business goals are. But, that's a good thing. It means Chris is on to the real problems in the business. What is your role in the process? Where does the data come from? How is the data used? Remember how you mentioned that process, is it creating a problem for you? How to build the client relationship? The great benefit of working with existing clients means that you are starting from a place of momentum. You have “gelled” with the client and have gotten the ball rolling. Doing more projects together makes sense. When you start with a new client, you are starting from scratch and you have to convince the client to trust you. But in order to keep the momentum, you have to maintain the client relationships. It is not enough to get hired for a job to maintain the client relationship. You have to actively nurture it. Chris recommends that you become friends with your client and carve out a little bit of time to keep in touch. Find things that you have in common and ping them every once in a while. It doesn't, and shouldn't, be about selling to them. It's about catching up. Try to have a chat with each client once per quarter. Meet up for a coffee or chat over the phone. Ask how the business is going, what's new, and if they have any concerns. Most of the time, it will just be catching up and staying in touch. But other time, it will bring in new work for you. The key here is to actively build these client relationships. If you let a year or two pass since your last project, you might have to rebuild the relationship. Building relationships is a skill just like any technical skill and will take time to figure out how to build client relationships naturally and not be pushing for a sale. All clients are not looking for a long term work relationship. Some just want you to do the work then go away. 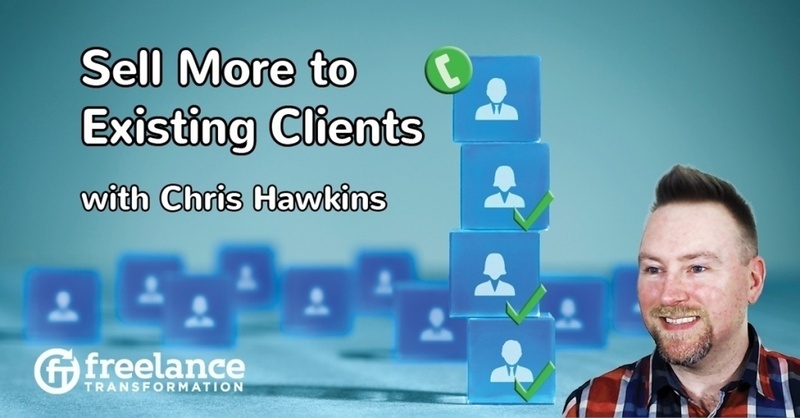 Try to develop a radar for these types of clients so you can simply move on. When you are looking for clients, try to take on clients who you can deliver value to over and over again rather than one-offs. It might take a while to figure out how to recognize these types of clients, but you'll get better as you keep practicing. And finally, it is ok to put yourself out there, meet with an existing client for coffee and have the conversation go nowhere. Even if you didn't get work out of it, you got practice building client relationships and asking questions about your clients business that helps you see the big picture and where you can add more value.